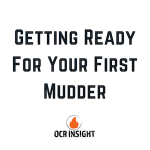 With Spring fast approaching, it means that many OCR enthusiasts are gearing up for their first Spartan Race, Warrior Dash, or Tough Mudder of the season. 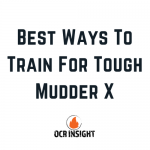 While it’s important to train your body for the endurance and strength you’ll need to crush your next race, doing a little bit of mental training is also a great way to ensure you’re ready to tackle whatever obstacles you might face out there. Tough Mudder has some of the best obstacles on the OCR circuit. Perhaps no race is as creative when it comes to creating (and naming!) the obstacles they will challenge racers with this year. With some old favorites coming back, and some new obstacles no one has faced, you will want to be sure you look ahead to make sure you can visualize yourself overcoming each obstacle and getting to the finish line. Below, we ranked our top ten Tough Mudder obstacles you will likely see this year, and how to overcome each one. What might be Tough Mudder’s signature obstacle, Electroshock Therapy is a shower of electric wires you run through before crossing the finish line. Psych yourself up if you need to, but put your hands up to guard your face and just run like hell until you get through to the other side. Teamwork makes the dream work with this one. This giant rolling water block is something you need a little help from your friends on. 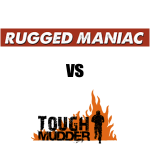 Get close and grab an edge while your fellow mudders spin you over to the other side. Make sure you lend a hand and spin the block for the next batch of people to take your place. To get to the top of the 15’ quarter pipe, you have to get some speed. Charge into the curved wall and drive your legs into the wall as it begins to turn up. Try not to jump too early, as you will fall short and slide back to the bottom. Speed, drive, and make a late leap and grab onto the top. From there, either muscle your way up or throw your foot over the lip and get to the top. If you needed a reason to work on your grip strength, this is it. Funky Monkey is an evolving monkey bar rig, and this year it has a few new tricks up its sleeve. You begin by traversing a rising set of monkey bars, then a series of spinning wheels await as you descend back to earth. 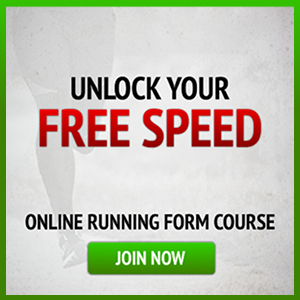 Grip, shoulder strength, and timing will all be put to the test this year. 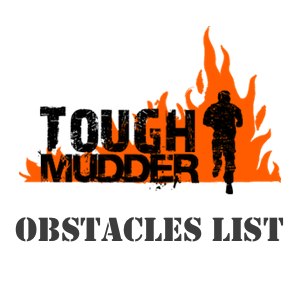 This obstacle is only available to Legionnaire mudders (aka – people who have completed at least one previous Tough Mudder) and is one of the final obstacles racers will face at some events. This is all about grip and upper body strength, as you’ll be tasked with scaling a 20’ wall full of odd angles before making it down the other side. Impossible to do alone, Pyramid Scheme is a giant angled wall you’ll need to climb using the help of others. 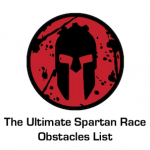 This is a great way to really get to know your fellow mudders, as you will see people standing on others’ shoulders trying to make a human chain to the top. Be sure to lend a hand once you’re at the top before moving on to the next obstacle. While it’s not the Jungle Book, you do need to harness your inner orangutan as you leap from a platform, grab a swinging bar, and propel yourself into the air to ring a bell. You need to have confidence and momentum in order to get enough lift to reach the bell. Once you do, a short fall into some water awaits you. One of the most fun obstacles you’ll face on any Tough Mudder course! This obstacle is fun because you will see all sorts of ways people try to climb to the top of a 10’ slanted wall that features a row of car tires you need to climb over in the process. The best way to beat this obstacle is to use the tires to your advantage. Grab on and try to get your knee or foot into the adjacent tire. If you can stand on the tires, it’s an easy climb to the top and you’re on to the next test! If you weren’t dirty before, you will be after this one. You have to crawl underneath some water-weighted tarps that want to push you down and keep you from moving forward. Don’t try to fight gravity here, just stay low and use your hips and forearms to drag yourself through to the other side.